At Clontarf Orthodontics we recommend seeing children for their first orthodontic screening at the age of 7 years or when the front 4 teeth are down. This is so that developing problems can be identified and the appropriate intervention and treatment carried out. Sometimes this means a short term of treatment or selective extraction of baby teeth can resolve fully a problem that may otherwise become very pronounced. 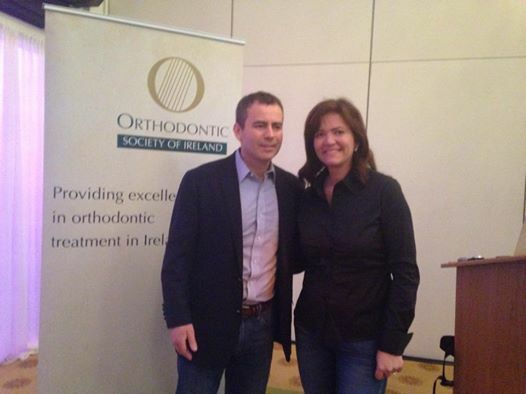 At the recent annual Orthodontic Society Conference the speaker Dr Secchi, pictured with Dr Leydon, highly supported this philosophy. He recommends the same to his own referring dentists in his own practice in Pennsylvania. One of the treatments we carry out in Clontarf Orthodontics is ”Serial extraction”. This is the planned and specific extraction of permanent teeth in an orderly sequence and predetermined pattern to guide the erupting permanent teeth into a more favorable position. This was originally described by Kjellgren in 1929 and is again gaining popularity in preventative orthodontics. 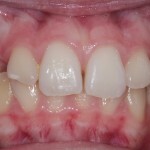 Careful diagnosis and continuous re-evaluation during the course of treatment is mandatory to achieve required results. Based on the usual eruption sequence of teeth, deciduous canines are extracted at the age of 8–9 years to create space for proper alignment of incisors, followed by extraction of deciduous first molars a year later so that the eruption of first premolars is accelerated and lastly extraction of the erupting first premolars to give space for the alignment of permanent canines. In some cases a modified technique is followed in which the first premolars are enucleated at the time of extraction of the deciduous first molar. This modification is frequently necessary in the mandibular (lower) arch where the canines often erupt before the first premolars. Sometimes we extract the primary canines only – it produces rapid self-improvement in incisor crowding and alignment intercepting the development of lingual crossbite (back to front bite) of the lateral (side) incisors. The other treatment that is really important to start at an early age is the expansion of the arches. This is much more successful at an early age. We favour a Haas expander – the same as recommended by Dr Secchi at our recent conference. Kids can design their own brace and make wearing braces fun! 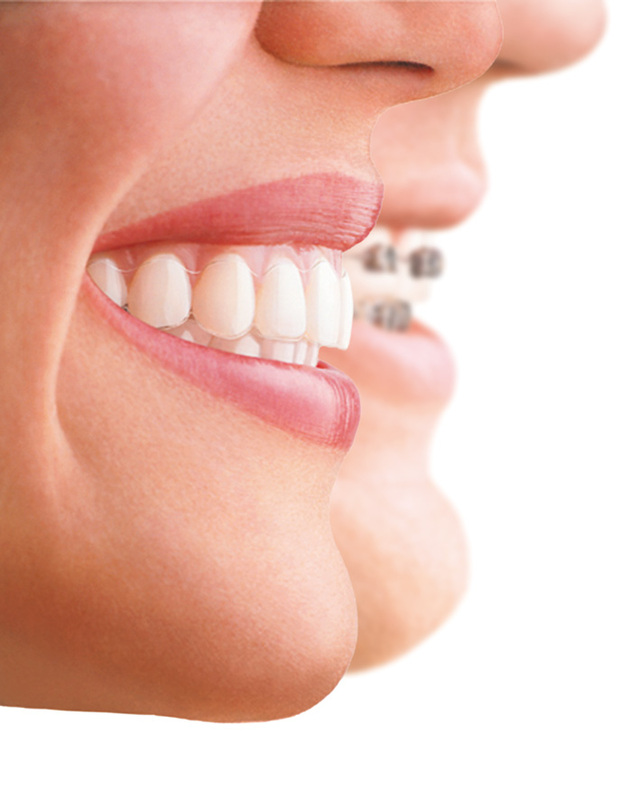 Exposed – Myths about braces! 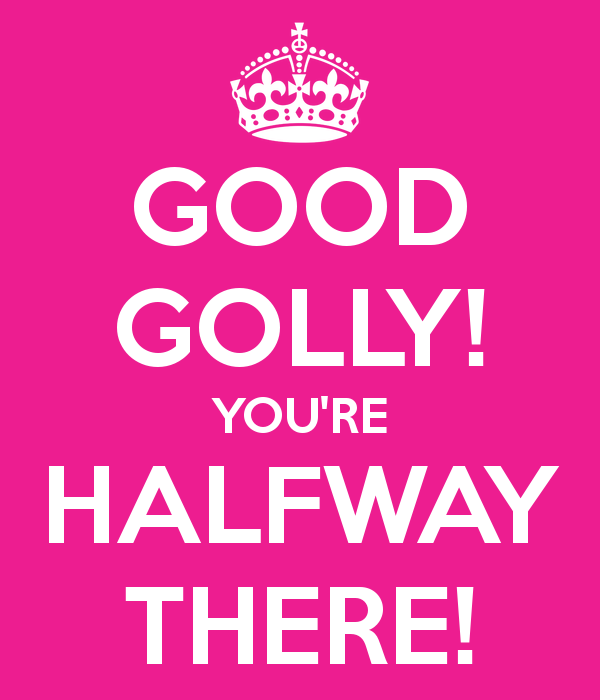 My Invisalign Story – The halfway mark! 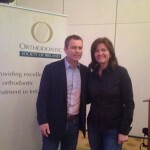 previous post: My Invisalign Story – The halfway mark!